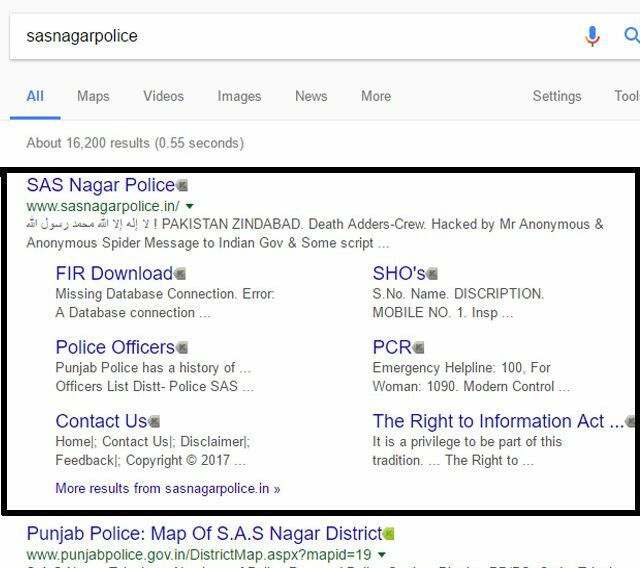 Pakistani hackers have hacked SAS Nagar (Mohali)’s official website. The website shows the message ‘Pakistan Zindabad’ as soon as it is opened. Also, it carries threatening messages targeting Prime Minister Narendra Modi and veteran actor Rishi Kapoor and not to meddle with Kulbhushan Jadhav’s case. Mohali police has asked for Cyber Cell’s help to look into the matter.